AVX Corporation, a leading manufacturer and supplier of advanced electronic components and interconnect, sensor, control, and antenna solutions, introduced a new line of ultraminiature, thin-film transmission line capacitors for high-frequency links, DC blocking in the UHF range (300MHz – 3GHz), and other high-performance microwave and RF applications. The new capacitors have a novel metal-insulator-metal (MIM) structure, copper traces for optimal circuit conductivity, a transmission line wire-bond pad, and a gold-metallized backside ground, and can be supplied on a variety of low-loss substrates, including quartz, alumina, glass, and silicon. The new transmission line capacitors are also available in a wide range of capacitance values: 0.3–50pF with a ±20% tolerance, and each is made using a high-frequency structure simulator (HFSS) to proactively address any electromagnetic challenges and provide the highest possible RF performance and reliability. “Our new thin-film transmission line capacitors are developed using ultra-precise HFSS designs for optimized circuit conductivity and RF performance. 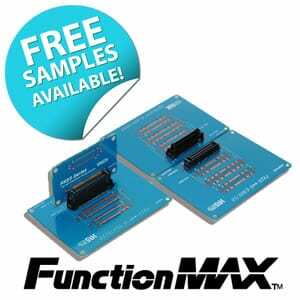 They offer a wide range of capacitance values and several customizable features, including impedance values and substrate material and thickness, and are also gold-wire bondable and RoHS compliant, enabling their employment in a broad range of high-performance microwave and RF applications,” said Larry Eisenberger, principal technical marketing engineer at AVX. The new transmission line capacitors are available in three standard substrate thicknesses: 5, 10, and 15mils (0.005, 0.01, 0.015”) and two standard substrate widths: 20 and 40mils (0.02–0.04”), and have design-dependent lengths determined by transmission line dimensions. Average lengths are generally in the realm of 20–80mils (0.02–0.08”), but lengths up to and beyond 320mils (0.32”) are not altogether uncommon. The range is rated for up to 100V, has specific capacitance values ranging from 50–100pF/mm2, a dissipation factor of less than 0.1%, and a TCC value of ±60ppm/ºC, and exhibits 50Ω standard impedance; although, actual maximum capacitance values also depend on transmission line dimensions. Custom impedance values, substrate materials, and substrate thicknesses are available upon request. The new transmission line capacitors are also RoHS compliant and are tested to MIL-STD-883-2011.8 for bond strength, MIL-STD-883-2018 for shear strength, and MIL-STD-202-108 for lifetime. 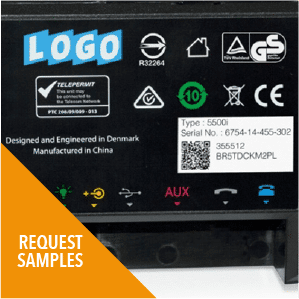 Packaging options include: antistatic waffle pack, tested but un-diced, and tested and diced on tape, and lead-time for the series is currently 14 weeks. 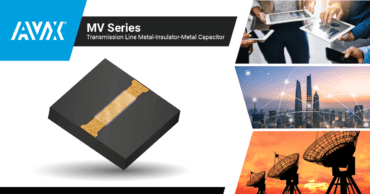 For more information about AVX’s new ultraminiature, thin-film transmission line capacitors for high-frequency links, DC blocking in the UHF range, and other high-performance microwave and RF applications, please visit http://www.avx.com/products/custom-thin-film-passives/discrete-thin-film-capacitors/transmission-line-mim/. 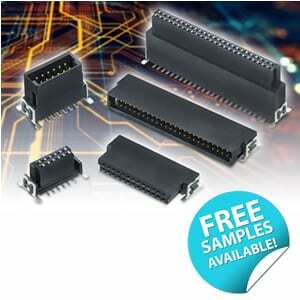 To order, please visit Arrow Electronics. For all other inquiries, please visit www.avx.com, email inquiry@avx.com, follow them on LinkedIn and Twitter, like them on Facebook, call 864-967-2150, or write to One AVX Boulevard, Fountain Inn, S.C. 29644. AVX Corporation is a leading international manufacturer and supplier of advanced electronic components, interconnect, sensing, control, and antenna solutions with 29 manufacturing facilities in 16 countries around the world. 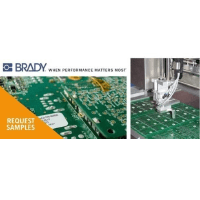 AVX offers a broad range of devices including capacitors, resistors, filters, couplers, sensors, controls, circuit protection devices, connectors, and antennas. The company is publicly traded on the New York Stock Exchange (NYSE: AVX).